Jeetan Marandi is a cultural activist from Jharkhand , a cultural activist who used to sing the folk songs and other revolutionary songs in villages of Jharkhand, to make the people aware of socio-political developments taking place in the state. He was misjudged due to his name. He is also the secretaries of Committee for the Release of Political Prisoners. He was arrested in 2008 and accused by the police of being involved in the murder of 20 villagers, including the son of former Jharkhand chief minister Babulal Marandi, in Chilkari in 2007. He was sentenced to death in June 2011 by a lower court in Jharkhand. He has been an active participant in the movements against forcible land acquisitions in Jharkhand – and was actually arrested while he was on the way back from one such rally organized by the Visthapan Virodhi Jan Vikash Andolan, almost an year after the killings. In December 2011, Jharkhand High Court turned down death sentences of four person including Jeetan Marandi in Chilkar massacre case for the want of substantial evidence. 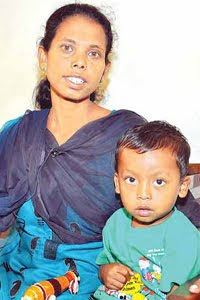 The Court had acquitted the four accused in Chilkhari murder case on December 15, 2011. Giving them the ‘benefit of doubt’ the court said that it could not punish these people on the basis of the witnesses who themselves are of criminal background. Jeetan, Chattar Mandal, Manoj Rajwar and Anil Ram were first awarded death sentence by Additional Sessions Judge at Giridih on June 22, 2011. Jeetan Marandi and other three were convicted under Sections 143, 342, 379, 149, 120B, 30, 149, Copyright Licensing Act and Unlawful Activities Prevention Act along with Section 302. The police chargesheeted him under various clauses of the penal code, and it has also been alleged that false witnesses were brought forth during the trial, leading to the death-sentence. This case falls into the larger pattern of victimization of the cultural political activists as well as those adivasi voices who are resisting the various injustices being inflicted by the state. Dr Binayak Sen, in a public meeting in Ranchi in 2011 had said “An artiste and tribal rights activist, Jeetan was known to utilise the power of music to speak against government atrocities on the common man, especially tribals. “Artistes world over have used their medium of music, song, painting, etc. to portray the wrongs of society. Jeetan was fighting against displacement, corporate and political loot among other ills. It is ironic of the state government that in the land of Birsa Munda, it has been staying mum on his case. ये आजादी आज़ादी है कैसा? ये आज़ादी मिली है कैसा? Here , Aparna Marandi is singing a Santhali song written by jailed adivasi cultural activist Jeetan Marandi which talks about ill effect of drinking. The song says you are drinking and your house is getting destroyed, your children are suffering, their education is getting affected. The song requests please leave drinking and take care of your family.